The term Technologically Advanced Aircraft (TAA) is a modern term used to describe light aircraft with advanced equipment on board—specifically advanced avionics like GPS and glass panel displays. It used to be that only professional pilots like corporate or airline pilots needed to be trained in modern avionics and other modern onboard technologies. Today, this same high-tech equipment is being used widely in small aircraft, which means that pilots of these small aircraft must be trained in TAA, or run the risk of being inept at using this equipment, or worse, a safety hazard to themselves and others. Many aircraft are equipped with all of these and even more complex systems, making it difficult for even the best of pilots to navigate through their aircraft's avionics, let alone the airspace they're in. Many pilots are familiar with the term "glass cockpit." An aircraft that is considered to be a TAA is not always a glass cockpit aircraft, but a glass cockpit aircraft is always considered a TAA. A glass cockpit goes beyond the description of a TAA and is generally defined as one with a Primary Flight Display (PFD) and a Multi-Function Display (MFD), both of which replace most of the old-style gauges in an aircraft. According to AOPA, more than 90 percent of new aircraft today are coming off the line with glass cockpits. These aircraft are all considered TAA. The FAA has come under fire because of the influx of TAA and the FAA's lack of a modern flight training program. The current flight training standards have been in place since 1973 and were designed with basic stick-and-rudder flying in mind. Current training syllabi do not leave room for TAA training, but that could change in the future. As of right now, pilots are training on both the old style instruments and the new glass panel displays. The old six-pack displays are still very common, but as glass panel displays become more commonplace, we'll see the old six-packs disappear. TAA is generally a good thing for the average pilot, as long as the pilot knows how to use the equipment correctly. Still, many accidents are attributed to the pilot's lack of understanding of the aircraft's avionics. When a pilot doesn't fully understand the avionics on board his aircraft, he can quickly become task-saturated trying to figure out how it all works. 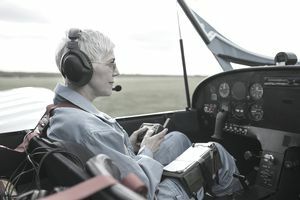 This task-saturation, coupled with excess heads-down time in the cockpit, can lead to disorientation and loss of aircraft control. TAA is, by and large, improving situational awareness for pilots. The criticism of technologically advanced airplanes being more of a distraction than a helpful tool holds merit, though. For this reason, the FAA created the FITS program and new training program that supplements the old one, created specifically for use with TAA. The FITS program is designed to assist flight instructors and flight schools in training pilots for TAA and includes a more scenario-based training environment.